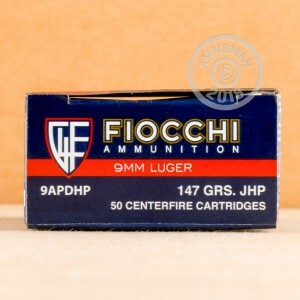 This Fiocchi ammunition is an economical defense and hunting load that fires a 147 grain jacketed hollow point bullet at a muzzle velocity of 975 feet per second. This is a subsonic muzzle velocity suitable for use with suppressors. 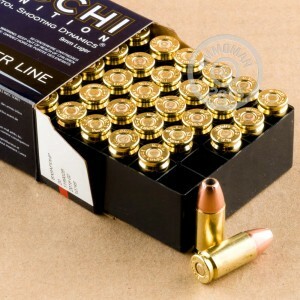 Fiocchi ammo is loaded in Lecco, Italy and Ozark, Missouri using non-corrosive Boxer primers and brass cases. Place an order at AmmoMan.com for $99 or more and save with our free shipping promotion!